We get a lot of phone calls asking if we do repair on high end instruments. YES and we love them. How do I know if I need an overhaul? With minor repair, this is something that our techs can take care of sometimes in just a few hours and we can get it back in your hands relatively quickly. Our technician's will know if your instrument needs an overhaul. Overhauls require at least 30 bench time hours on your instrument. Your instrument will get the full treatment, working through every detail top to bottom. When you come to pick up your instrument after the overhaul, the technician will hear you play test it and make sure you feel like every note is hitting right in the pocket. At 30 days we have you come back once everything has settled a little bit so we can hear you play test again to make sure everything stays nice and tight. 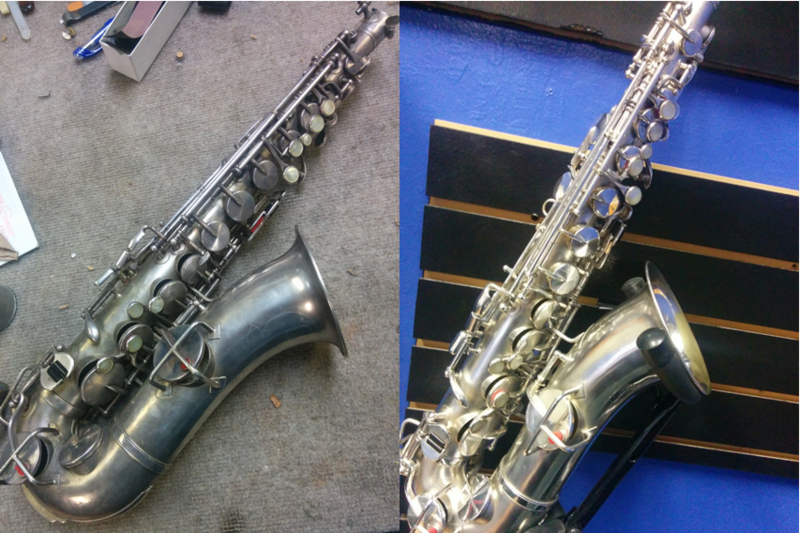 We are proud to say we have 5 technicians on staff that can rebuild and restore your instrument. Brandon, Louis, Kaleb, Robert and David all have their benches set up at our Sparks location and would be happy to take a look at your instrument and provide a proper assessment. Is it worth it to do an overhaul? Our technicians will help you access if an overhaul is right for you and your instrument. Keep in mind that Vintage instruments are exciting to bring back to life because they can retain their value and with the proper care and attention to condition they may become more valuable over time. We are extremely familiar with working on high end instruments such as Selmer Mark VIs and Muramatsu flutes. We also love old Japanese made Yamahas, Martin Committees, and the list goes on.